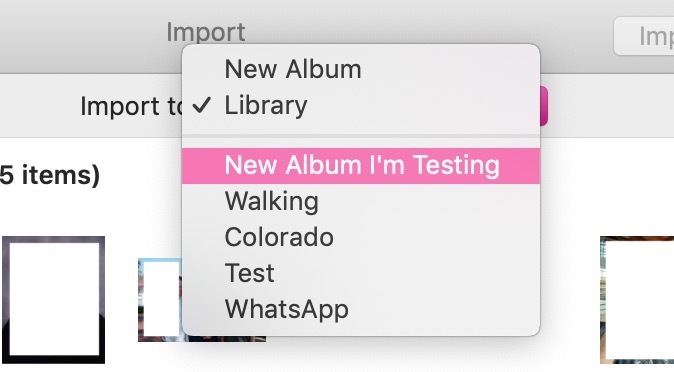 Photos will automatically import what you dragged and add those pictures to the album you dropped them on! If what you’re importing, however, is from a device (like your phone or a camera), then the steps are a bit different. 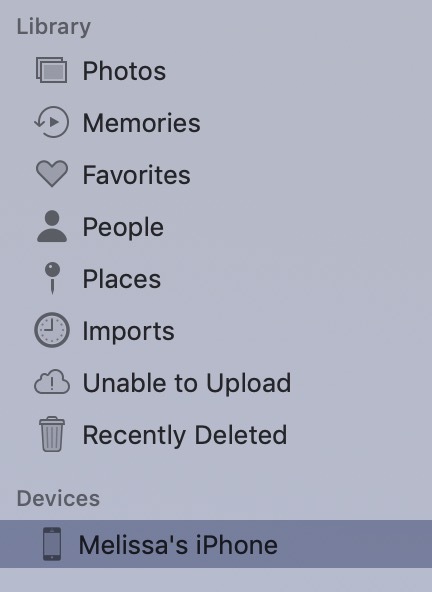 What you’ll do in that case is plug in the device, open Photos (if it doesn’t launch automatically), then click on the device in Photos’ sidebar. 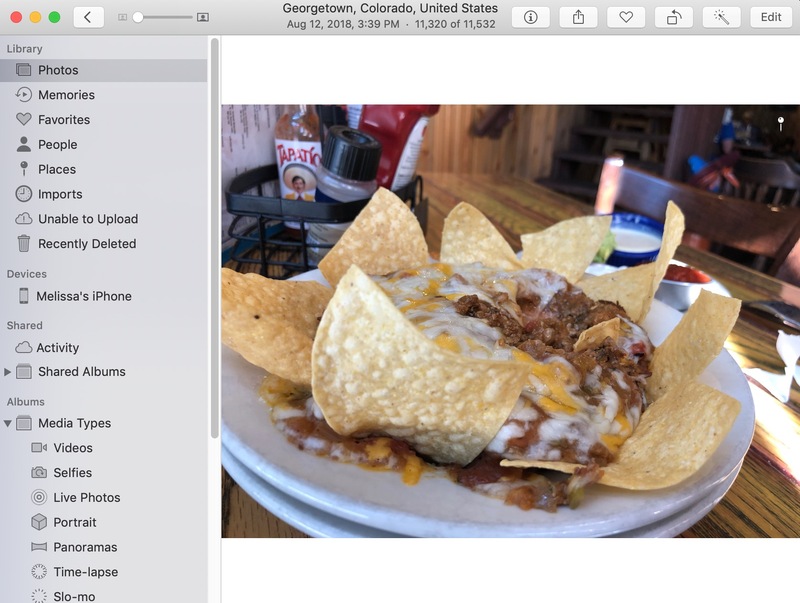 …you can either choose some items to import to that place by clicking on them and then choosing “Import Selected,” or you can just bring everything in by clicking “Import All.” Whichever way you do it, though, your selection will pop right into that album, and of course, everything you imported will be visible in your full Photos library, as well, sorted by date. This screenshot shows you nothing important. It gives you no extra information about this macOS feature. But it’s late, I’m hungry, and these were some amazing nachos I ate. NACHOS. The pinnacle of journalism.